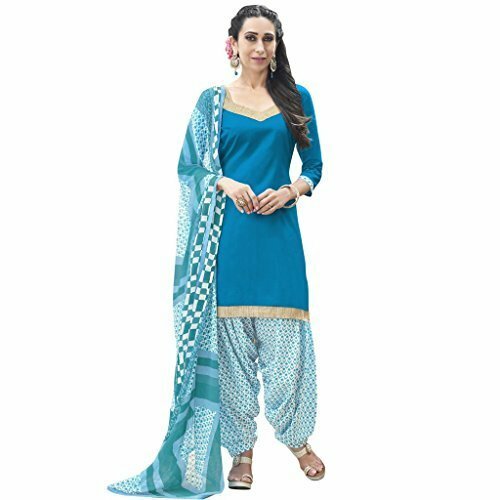 Sky Blue Color Cotton Fabric Patiala Style Suit comes with Beige Color Cotton Fabric Bottom & Beige Color Chiffon Fabric Dupatta. This suit has Beige color pipping patch work at neck line and Copper color patch work at neck line with Copper color border at below of top. The suit which can be stitched up to size 44.